After more than 25 years, Big Fun In The Big Town, the groundbreaking hip-hop documentary by Dutch filmmaker and rap fanatic, Bram Van Splunteren, will be commercially available for the first time ever. Bram stepped into NYC in 1986 for one week only armed with five things: a camera crew, a map, a deep respect for the hip-hop artform, a list of phone numbers, and a burning desire to get to the bottom of what this still-growing subculture was all about. By the time he left, he had the answers he needed, along with a treasure trove of golden video footage. Tragically, these images never returned from Europe, languishing in obscurity from hip-hop’s homeland for more than a quarter-century. Until now. New York, 1986 was a city of big dreams and equally big problems. Like New York itself, hip-hop music encompassed both of these human conditions. But hip-hop and its cultural birthplace shared other important characteristics too: the desire to always be original, a hustle-to-survive ambition, and if the stars aligned the ability to come out on top, no matter what the odds. 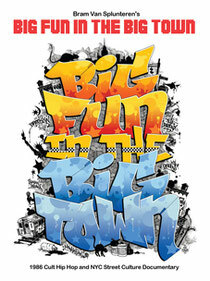 Big Fun In The Big Town is about hip-hop when artistry in the game was still at its center. When skills, not hype, got you your first record deal. 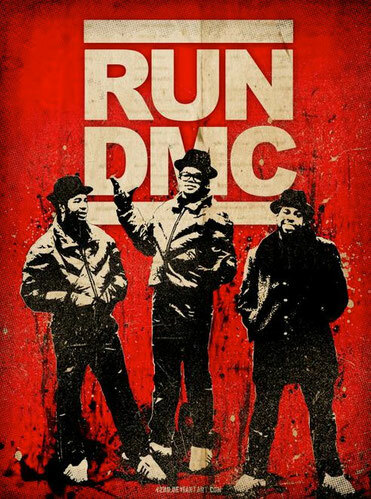 When Run-DMC took the reins from Doug E Fresh and Grandmaster Flash, paving the way for hundreds of other hit-makers to follow. When a chart-topping LL Cool J still lived with his grandmother. When the Latin Quarter was the club to be at on any weekend night. And when artists from all backgrounds could taste their own pop-chart dreams, just beyond their reach but still seemingly attainable. This essential, fast-paced documentary shows hip-hop from just about every angle, and approaches its subjects with a journalistic sobriety and respect rarely given to this oft-misunderstood artform and culture, even to this day. It presents worldwide superstars and aspiring rappers, dancers and beatboxers on an even playing field, reminding us that rap was once a wide-open game for anyone with talent to grab at the brass ring of fame. Dutch director Bram Van Splunteren has been a noted music, arts and human-interest documentarian for more than two decades, known for feature films on The Red Hot Chili Peppers (A Dutch Connection) and Loudon Wainwright (One Man Guy), among many others. For more information, visit: www.bramvansplunteren.nl.